The apartment was very nicely decorated and clean. It had a large patio and a nice little kitchen. The shower was also nice. The elevator opened up right into the apartment. Wifi worked well. I could not find the property because it would not come up on my gps for some reason and I could not use Google Maps. Thanos came and met me at the Temple of Poseidon and led me to the property. Thanos was very helpful, even lending me a bike to ride to the beach! This property is much better to visit with a car (I took the bus) because everything is a few kilometres away, but the area is very beautiful and quiet. I highly recommend! Awesome property and Thanos was very nice and helpful. Clean, friendly staff. Location was quiet. close driving distance to sites and great food places. Walking distance to beach. Mr. Thanos is a very gracious host with a nice property. Location is excellent if you're looking to get away from everywhere and everything. Comfy beds, fully equipped kitchen, home-made olive oil excellent. Nespresso machine was a nice touch, but filter coffee, tea was also available. Ice-cream, a bottle of wine and chilled water was presented when we arrived, as were cookies for breakfast. Cape Sunio is quite nearby, and our host pointed us to a really great family-run taverna a few minutes drive away. The host was so nice and helpful. Facilities and decoration in the living room were especially lovely and attractive. Very friendly and helpful host. Lovely, peaceful location. Extra touches like beer in the fridge and little chocolate treats, and coffee. 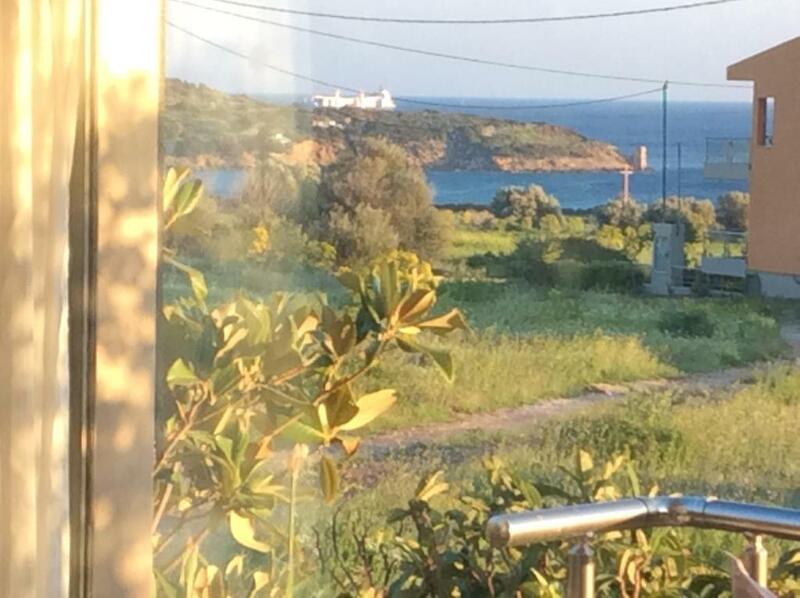 Great place for summer at the beach, or to get out of Athens and see Cape Sounion. Clean, with plenty of amenities and a friendly owner. I would visit the place again. It was small but very, very nice! Our host met us and directed us to the property, gave us a bottle of wine and Greek pastries, carried our luggage and made us feel right at home! His recommendation of a great seafood restaurant and bakery we're outstanding! 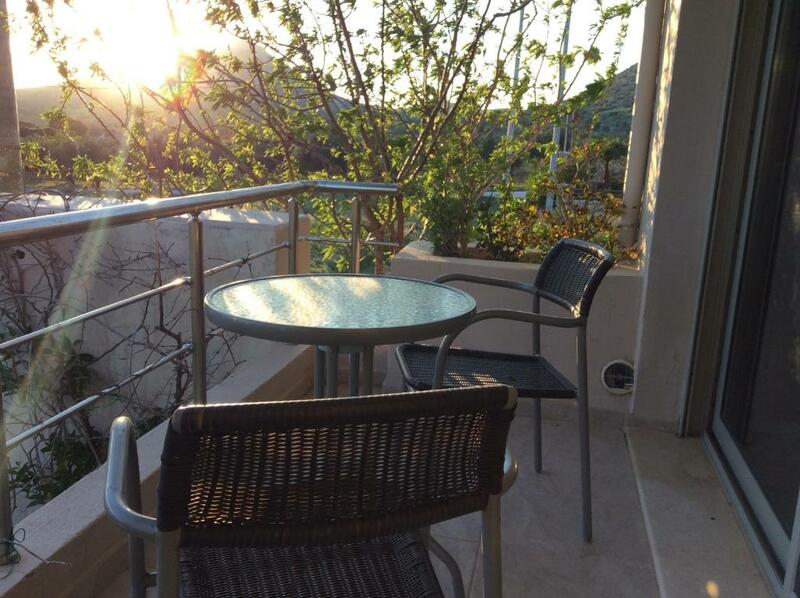 Lock in a great price for Sunset at Cape Sounio – rated 9.1 by recent guests! Just 1,400 feet from Charakas Beach, Sunset at Cape Sounio is located in Charakas area of Sounio. 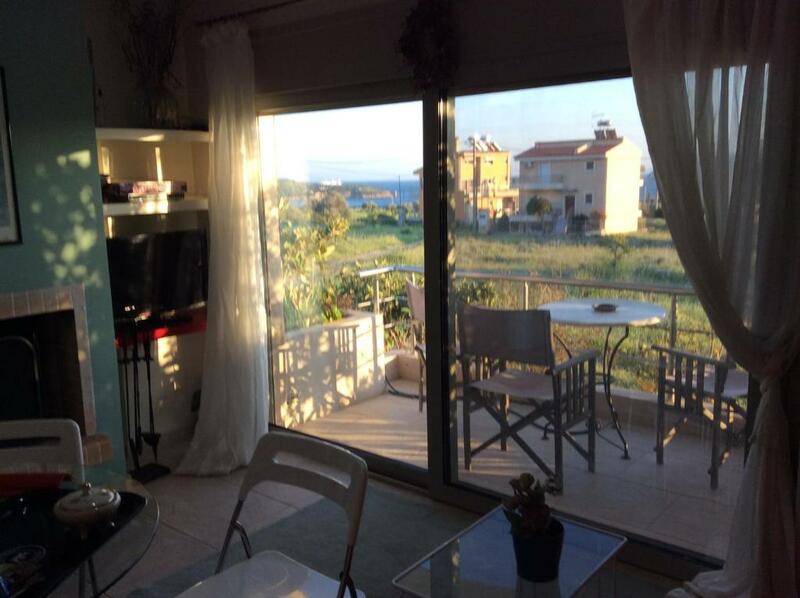 It features fully equipped units with panoramic views over the Aegean Sea and the mountain. Free WiFi is available throughout. Fitted with a fireplace, all air-conditioned, split-level apartments of Sunset come with 1, 2, 3 or 4 separate bedrooms and open to a balcony and a patio. Each consists of a living room with a flat-screen TV and a kitchen with a dining area and an oven with hobs. A washing machine and ironing facilities are included, while a computer and soundproofing are provided. A massage chair is also available. Water heating is provided 24/7. Guests may enjoy the communal BBQ facilities, offered at the property’s terrace. A garden with plants and trees is featured. At the lobby, there is also a fixed telephone line for free local and international calls, board games, books and a computer. Yoga and psychotherapy sessions individually or collectively with a yoga teacher-psychologist can also be provided upon request. Legrena village is at 1.9 mi and features a range of restaurants, bakeries, mini-markets and a butcher. A surcharge boat parking is 0.6 mi away. A selection of beaches, such as KAPE beach, can be found within a short drive, while a rocky beach is 1.6 mi away. Lavrio Port is at a distance of 5.7 mi and Eleftherios Venizelos International Airport is 23 mi away. Athens City is 39 mi away. Free private parking is possible on site. 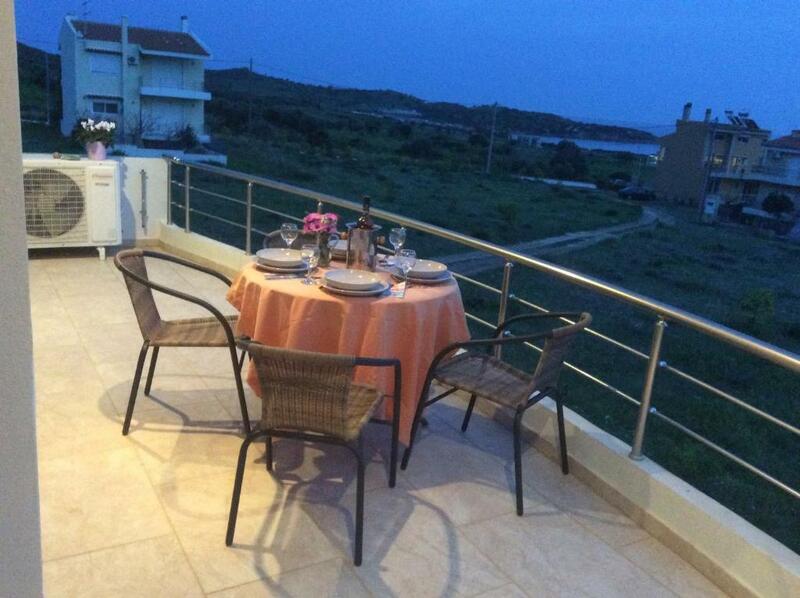 When would you like to stay at Sunset at Cape Sounio? 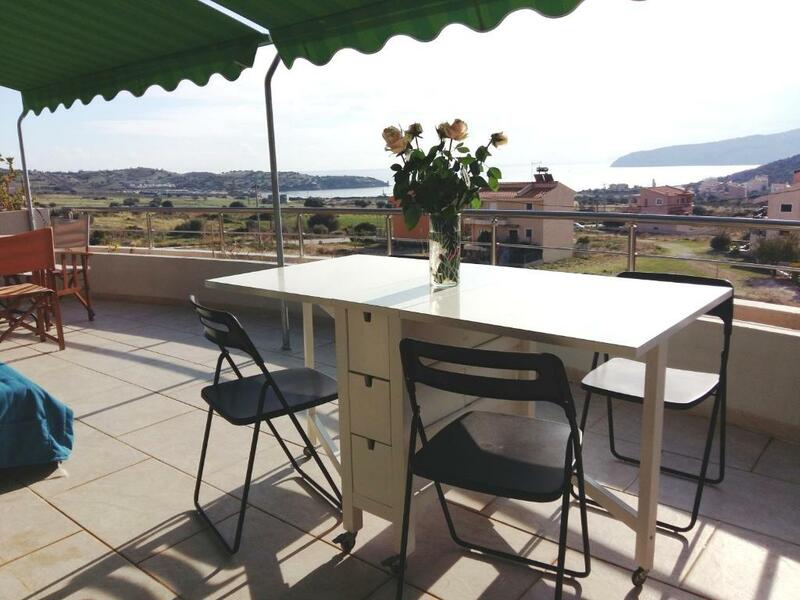 Fitted with a fireplace, this air-conditioned, split-level apartment comes with 3 separate bedrooms and opens to a balcony and a patio with Cape Sounio, Aegean Sea and mountain views. It consists of a living room with a flat-screen TV and a kitchen with a dining area and an oven with hobs. A washing machine and ironing facilities are included. A computer, massage chair and free WiFi are provided. -use of the fireplace is at extra charge. This air-conditioned, 1-bedroom suite is located on the 3rd floor and it features panoramic sea and sunset views. It has a seating area and a kitchenette. It is also equipped with a refrigerator, espresso machine, electric kettle and TV. A massage armchair is also provided. Located on the 1st floor, this studio features air conditioning, kitchenware and CD player. This apartment features a dishwasher, hot tub and air conditioning. This apartment features a soundproofing, private entrance and DVD player. Ιδανικό για τη περίοδο του χειμώνα, διαθέτει εικοσητετράωρη αυτόνομη θέρμανση κατά διαμέρισμα και κατά επίπεδο ρυθμιζόμενη από τον επισκέπτη, χρήση ζεστού νερού όλο το εικοσητετράωρο καθώς και τζάκι στά καθιστικά, η χρήση του είναι επιλογή του επισκέπτη.Το κατάλυμα βρίσκεται κοντά στο Ναό του Ποσειδώνα και στο μνημείο για τους χαμένους 4283 Ιταλούς στρατιώτες στις 12/2/1944 . Γίνεται ξενάγηση στο διαμέρισμα, δίνεται φυλλάδιο με προτάσεις για το κατάλυμα, τη περιοχή και τον ελεύθερο χρόνο σας. House Rules Sunset at Cape Sounio takes special requests – add in the next step! Please note that payments via PayPal are also accepted. Please note that firewood is provided at an extra charge. Please note that guests staying for many nights are kindly advised to bring their own vehicle as this property is not serviced by public transport. 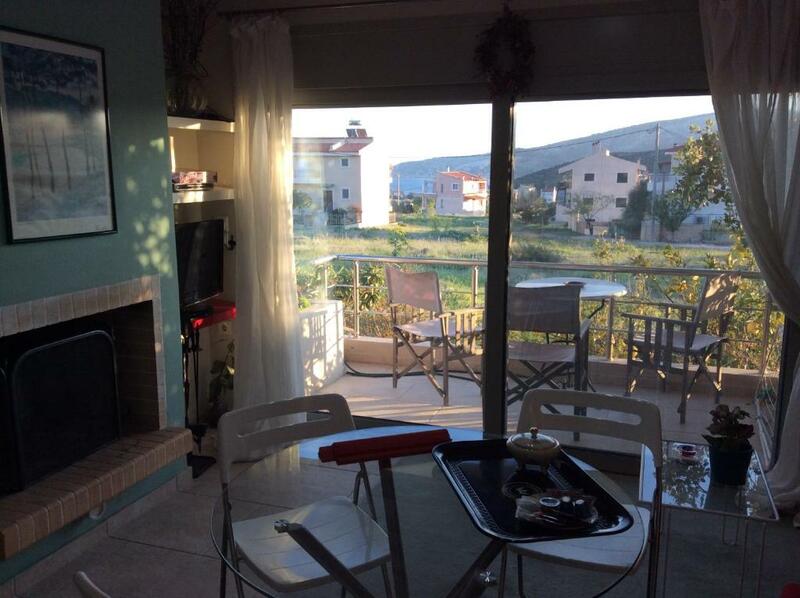 Nice, calm place, great host, and sitting on the balcony watching the sun set is realy relaxing. Can’t find the location in the beginning. We wanted to be at Sounio on our last evening in Greece to go to the Temple of Poseidon and to be an easy drive to the airport in the morning. This property worked perfectly. Very nice apartment, good kitchen facilities, great bathroom shower, very comfortable stay. Lovely sunset from the big balcony. Thanos was nice and spoke English but I had difficulty communicating with him. He did not understand a lot of what I was saying. The breakfast he provides is not much. After getting very lost I finally made it to the property. Then Thanos informs me that I had to pay cash and that it was stated on Booking.com. I looked and did not see where it said that. So I had to go back to the temple to use the ATM and get the money to pay him. Also, I was given 3 different keys for 3 different doors,and a code to use the elevator to go up. So it was kind of a hassle to get in and out. For a longer stay you definetly need a car since the appartment is in a small settlement and the next village with some restaurants and small Shops is 2km away. Very nice and friendly host. Magnificient view to the sea. Beautiful appartment with everything you need. Dear Thanos, thank you! We had a great holiday! Large comfortable and cozy apartment. Very beautiful authentic place! We recommend this option! A convenient appartement with a very handy kitchen. A very good starting place for the quiet and sunny environment with beautiful peaceful beaches. 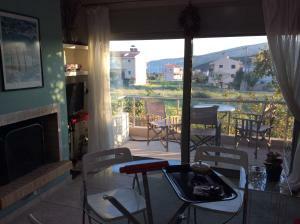 Fully-equipped, comfortable, and clean apartament with a balcony. Thoughtful and hospitable owner provided us with a bottle of wine and breakfast for the next day. We really appreciate our stay. Thanos was very helpfull. The apartment is very nice. It has a beautiful view and is very close from a very nice beach. So we recommand it.